All grass may be green but not all grass is the same. 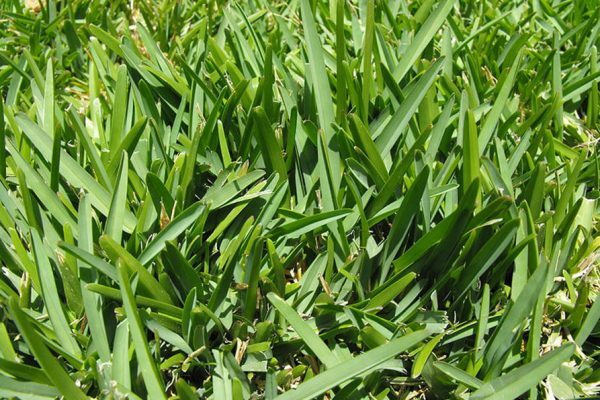 We will discuss, in total, six of the most commonly found grasses in Florida and common care and maintenance tips for each. 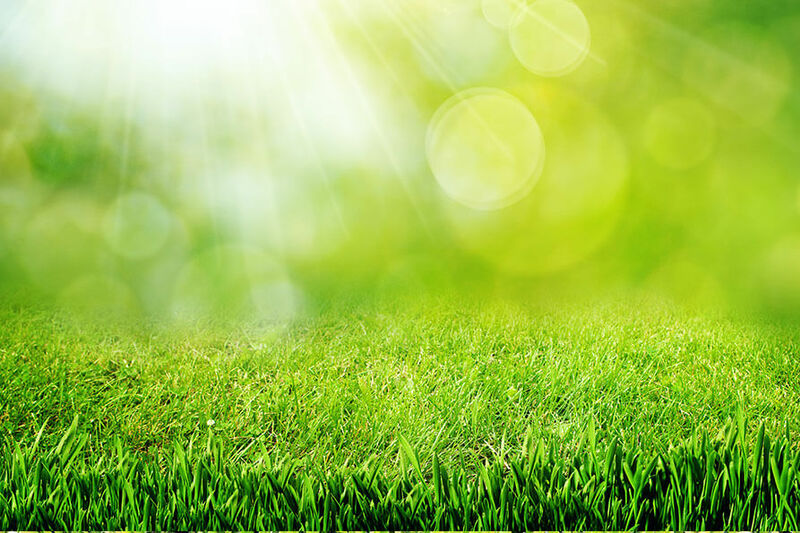 St. Augustine grass is the most popular type of grass throughout Florida because of its tolerance for high temperatures, high levels of salt, and its resistance to droughts. St. Augustine is also a favorite for Floridians because it runners grow above ground, allowing it to grow quickly in nearly any type of soil. When watered well, St. Augustine grows thick and lush, with flat, broad blades of grass, making for an ideal landscaping turf. St. Augustine is distinguished by its blue-green color. As with anything, there is a downside to St. Augustine grass. 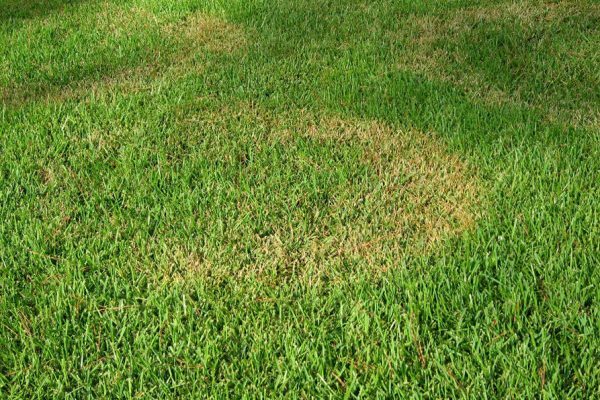 Cold temperatures and excessive amounts of shade are bad for the health of St. Augustine grass. Because of its distaste for cold temperatures, St. Augustine fares better in Central and Southern Florida. St. Augustine is also susceptible to the SAD virus and pests like chinch bugs, white grubs and sod webworms. St. Augustine should be fertilized 2 to 6 times between spring and fall (or if you are in Southern Florida, year-round fertilization is ok) and should be watered about a ½ to ¾ inch to provide a balance between avoiding over watering and preventing St. Augustine from having to rely on its drought resistant capabilities. St. Augustine is a thick grass and it grows quickly. For optimal health, St. Augustine should be maintained at 3.5 to 4” in height and never cut below 2.5 inches. Buffalo grass is commonly referred to as prairie grass because it has survived for centuries in the Great Plains and is a common sight in the region. Buffalo grass, like St. Augustine, does well in multiple soil types and has a very high tolerance for high temperatures. Buffalo grass is also extremely drought resistant and does well with minimal watering, making it a good fit for Florida. It is a sod-forming grass that is identified by its soft, slender stems with curling leaf blades that are typically grey-green or blue-green in color. Buffalo grass can grow up to 12 inches if left unmowed and is commonly seen in areas with clay loam soil. It does not thrive well in shady areas or highly trafficked areas where stamping feet can break the blades. Also, over watering Buffalo grass can weaken the grass and attract disease. Buffalo grass can also be prone to weeds and need additional care to keep the weeds at bay. Buffalo grass does not require much watering or fertilization and can in fact survive with as little as an inch and a half of water per month. Because buffalo grass is prone to weeds, spraying a weed treatment regularly is recommended to keep the grass weed-free. Mowing is also a must to keep buffalo grass at a reasonable height. The recommended cutting range is between 1.5 to 3 inches. If left unattended, Buffalo grass can grow up to a foot in length. For those looking for a low maintenance turf, Centipede grass is just what you are looking for. Centipede grass does not grow very high and it is less noticeable if you were to skip a mowing than if you had any other type of grass. Centipede grass grows well in sandy soil with shade-ridden lawns or in areas with cooler temperatures (such as the Florida panhandle). Centipede grass has yellow-green blades that can fall dormant (turn brown) during droughts, over exposure to heat or sunlight, and traffic. Although Centipede grass may seem near perfect it can easily become infected with nematodes and ground pearls. Centipede grass can go dormant during droughts so it is important to properly water your lawn to care for this type of grass. It is also important to note that Centipede grass thrives in acidic, sandy soil, which does not retain water well so water about ¾ inch twice a week in the early morning hours. During summer months when temperatures rise add an extra watering especially for areas of Centipede grass in direct sunlight. It will also need occasional fertilizer treatments (1 -2 a year) to keep the grass healthy. Should you notice brown spots in your Centipede grass the cause may be from lack of water, overuse by a pet during outside potty breaks, or possibly from disease. You can try watering or treating the area with a fertilizer but if the spots do not fade or spread, contact us for further treatment options. 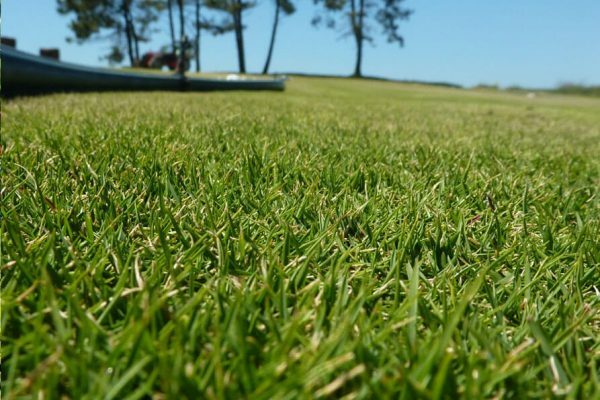 Bahia grass is well like by homeowners with large properties or in areas with limited irrigation as the grass is able to withstand low levels of water and needs little nutrients to sustain itself so it does not require much in the way of fertilization. Although Bahia grass is drought resistant, should the drought last for an extended period of time, then the grass will go dormant. Bahia grass is also resistant to environmental stressors, cooler temperatures, and bugs and disease. Bahia grass is a perfect fit for many Floridian homes because it thrives in a dry, hot climate and can easily take root in sandy soil. However, the downside is that when Bahia grass is left unmowed, its tall seed heads are clearly visible and can be seen as “unattractive”. Bahia grass does not always provide thick coverage and does not grow well in the shade. Bahia grass does not need much watering or fertilization; over-watering can actually damage the grass so stick to a weekly watering schedule. 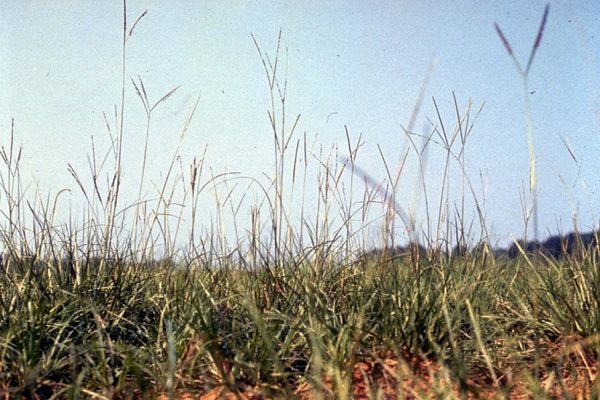 The best height for Bahia grass is 3 to 4 inches, although, allowing the grass to grow any higher will reveal the seed heads. Weekly mowing is a must for Bahia grass. 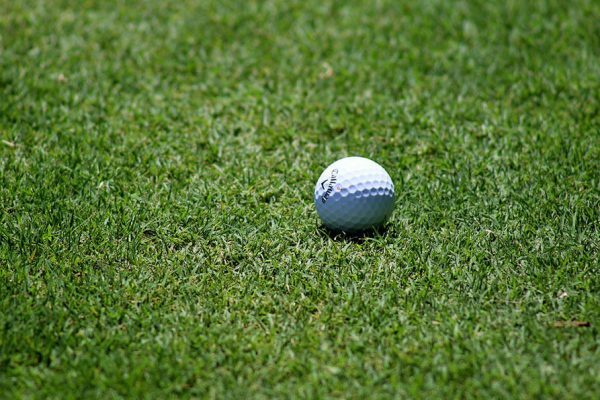 Bermuda grass is a common sight on golf courses and sporting fields because it has deep, strong roots making it resistant to drought, weeds, and heavy traffic. Bermuda grass grows very quickly and can do so in nearly any soil type so long as there is limited shade and warm weather. Bermuda grass is sometimes known as “the Devil’s grass” because of how quickly it can grow and overreach into gardens, flowerbeds, and over sidewalks or walkways. It isn’t always a first choice for homeowners because of this. Bermuda grass is characteristically short and should be kept at 0.5 to 2 inches in height. Weekly maintenance is also required to ensure the Bermuda grass is not overtaking your flowerbed in addition to weekly watering to sustain its health. Zoysia grass is growing in popularity because of its many characteristics that are ideal for hot and rainy weather. Zoysia can withstand walking traffic, hot temperatures, and even partial shade. Even its tolerance against droughts and bug infestations is impressive. Zoysia is a short-leafed grass that is dark green in color; its manicured appearance is appealing to golf courses and homeowner’s associations. It is also salt-tolerant and therefore a popular grass along coastal areas. Overall, Zoysia is a great choice in grass; the only downside being that it grows slowly and is susceptible to thatch. Weekly watering is sufficient for Zoysia grass and it does not require as much fertilizer (about half as many treatments as other grasses). 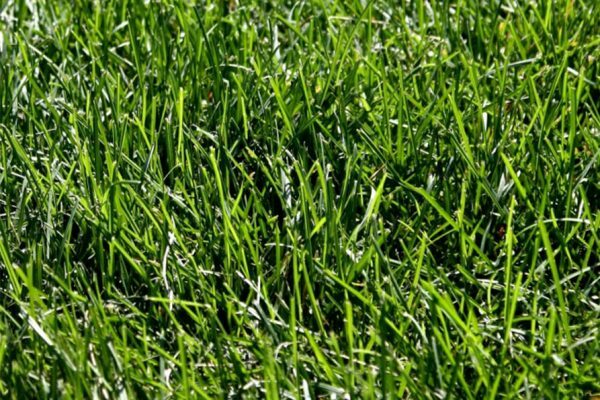 Zoysia grass is naturally short and should be kept at 1 to 2 inches in height. Because the grass grows slowly, you may be able to get away with skipping a mowing.